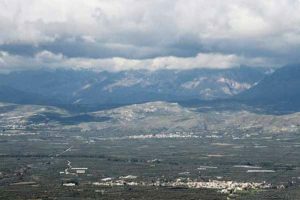 If you leave early in the morning from Agioklima Traditional House and follow the road south of Petrokefalo for 2 klms, you can visit the village of Saint (Agios) Myron. The ancient name of the village is Rafkos and in the Archaeological Museum of Heraklio you can see some of the artifacts found there from approximately 1900 b.C. In the early 19thcentury (a.C.) archeologists found Minoan Seals in the area and in 1940s a post-Minoan tomb with four sarcophaguses. In 1966 a whole graveyard was brought to light by mr.Alexiou, one of the most known and respected archeologists of Crete. The tomb and remains of Saint Myron can be found inside the church of the village which is named after him. He was after all the bishop of Crete in the late 4th century a.C. If you walk in the village you will come across some beautiful stone built houses. The Cretan architecture is still surviving in the area. After Agios Myron you can easily visit the village Pirgu. There were found remains from the Minoan Times also here, in Kazola, and great artifacts and pottery. Between the 13th and 16th century a.C. the village was well known for its wine according to historical sources. There is the church of Saint John with the emblem of the Franciscan lords (1601) inside the village. Kato Asites is your next stop. There are 9 churches in the village, most of them renovated. The most famous is the church of Saint Paraskevi which was built in 1745 and its stone architecture is still magnificent. There are three very old trees in the village that you can rest beneath them, it is now illegal for someone to cut them down due to their historical presence, a platan, a cypress and an oak tree. During the Ottoman Period the area was the scenery of great battles between the Turks and the Cretans fighting for their freedom. Ano Asites is the village after Kato Asites. There are many caves in the area with major speleological interest. 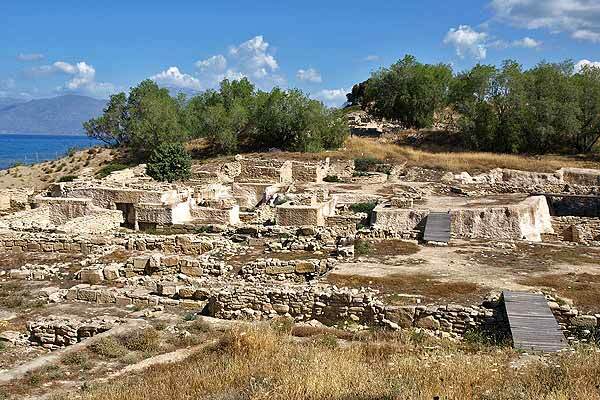 Also the excavation of the ancient town of Rezinia is breath taking and its cemetery with 680 tombs dated from the end of Minoan Times till the Roman Period of the island. At the village of Prinias one can easily find the hill of Patella. There lie two ancient temples of the 7th century b.C. with sculptures that remind us of the first samples of Daedalos’s Plastic School. There is also a cemetery on the hill and a beautiful castle of the 4th-5th century b.C. 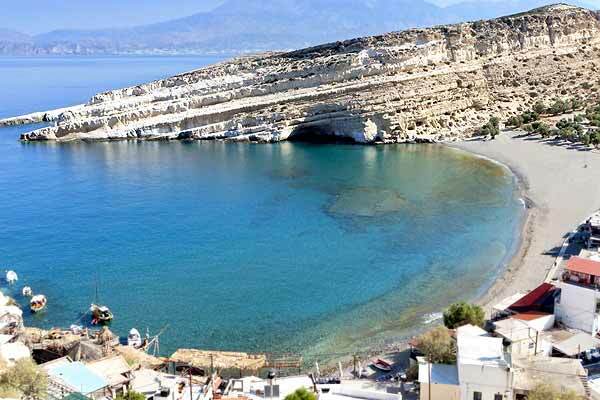 Once you arrive to Agia (saint) Varvara, after Prinias, you can follow on your right the road down to the South. 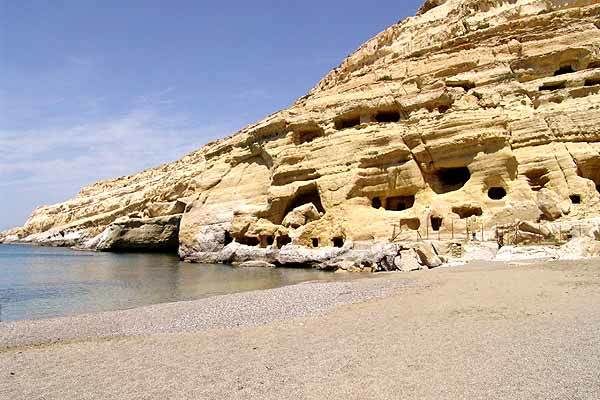 It will lead you to the valley of Messara with amazing beaches like Matala and Kommos with the great ancient remains of the city. 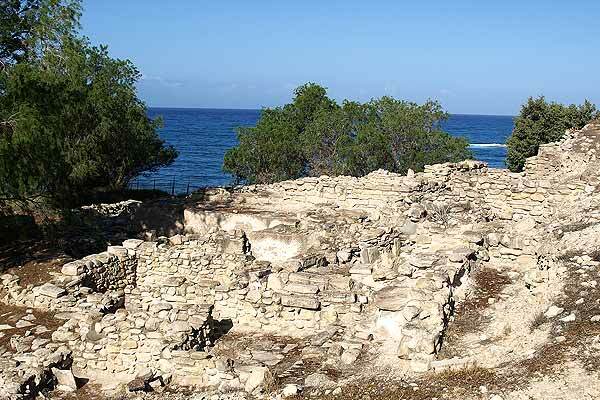 The Minoan town of Kommos was the harbor of Phaistos from 1650 to around 1250 b.C. 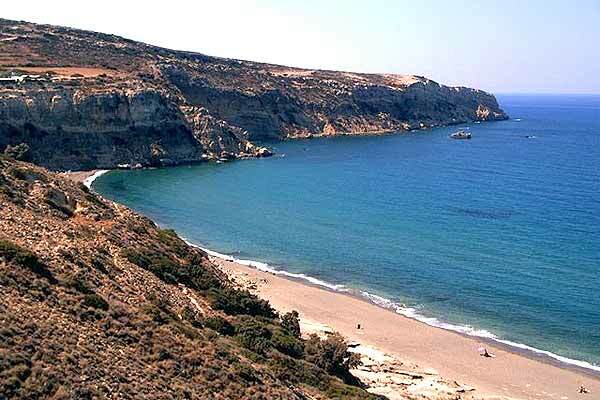 In the 19th century, the Italian archaeologist Taramelli identified Kommos as the place where King Menelaus was shipwrecked on his way home from Troy after the end of the Trojan War. Today part of the ancient town has been excavated. The Kommos archaeological site is not open to the public, but you can see a bit from the side of the fenced-off area as you walk down to the beach or from above, stopping at the crossroads after Pitsidia before heading down to Kommos Beach. Very well-preserved buildings came to light during the excavation, revealing the advanced state of olive cultivation in Minoan times. Slabs from the olive press were found here, also tools and fittings such as collection basins and vessels used to store the oil produced. The olive press installation shows that the Minoans built platforms on which the olive press bed was set. The olives were crushed into paste and ground on the press bed by stone weights, which were also found during the course of the excavations. 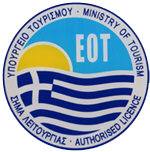 Today most of the olive oil production finds from Kommos, as well as many other stone, clay and metal objects, are housed in Heraklion Archeological Museum. Unfortunately Kommos was extensively destroyed many centuries ago. The houses and public buildings of the town were destroyed by earthquake and later rebuilt from the foundations up. 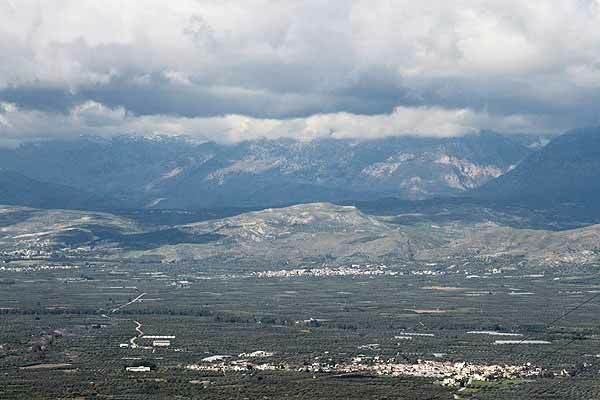 In Messara you can also visit the Minoan Palace of Phaistos and the ancient city of Gortys. It is truly worth it, but be aware of the sun and the heat especially if it’s summer time, be prepared.